So with only a few days to go till the 2017 Homeless World Cup in Oslo the official media release has gone out announcing our partnership for the second year in a row as match ball provider for the event. This is the first major international football tournament to be played with Fairtrade balls and we are delighted that organisers have once again chosen to play the tournament fairly. Great fun was had with Hugh Aitken from fellow sponsor, Skyscanner, and Homeless World Cup Foundation Chief Executive, Ryan Mackie at the photo shoot in Edinburgh, we were definitely in celebratory mood forming a part human cup – drones and everything! Check out the mini video clip. Awesome effort from Stripe Communications in creating this great image and the PR campaign. Workers in a Pakistani city dubbed “the real home of football” are to benefit from a Fairtrade partnership to supply hundreds of balls to the upcoming Homeless World Cup. A record entry of 72 teams from 54 countries across the world are finalising their preparations to fly to Oslo, Norway for the eight-day celebration of street football which kicks off on Tuesday August 29. This year’s tournament, now in its 15thÂ year, will witness games involving 570 homeless men and women broadcast to a record estimated worldwide audience of more than three million. Now, thanks to a dynamic Fairtrade partnership, tournament organiser The Homeless World Cup Foundation is ensuring that the often-forgotten army of men and women making footballs for the rest of the world to enjoy will also benefit. A workforce of more than 40,000 people in the northern Pakistani city of Sialkot turn out an estimated 60 million hand-stitched footballs every year – 70% of the world’s entire production – for multinational companies including Adidas, which provided the official ball of the 2014 World Cup in Brazil. While many work in safe and regulated conditions others are not so fortunate, with an average annual wage estimated at around £700. The Homeless World Cup Foundation is teaming up with global travel search engine Skyscanner and Scottish sports co-operative Bala Sport, who are donating 325 specially designed and branded balls made in Sialkot for the duration of the tournament. Bala Sport – whose name means football in Scottish Gaelic works with manufacturers in Sialkot to give a fairer deal to workers by importing their certified Fairtrade balls for sale in the UK. Through Fairtrade men and women in Pakistan who make the Homeless World Cup Bala Astro balls including the hand-stitchers receive fair rates of pay, safe working conditions and access to union representation. They also receive an extra 10% Fairtrade Premium, which is a cash sum paid directly to workers through a joint body, who democratically decide on what social development projects to invest it in. So far these have included the likes of free eye and diabetes tests, free backpacks and schoolbooks for workers’ kids, and most significantly helping to fund water purification plants. These are built outside the factory gates and enable anyone in the community, not just workers to have access to free, safe drinking water. 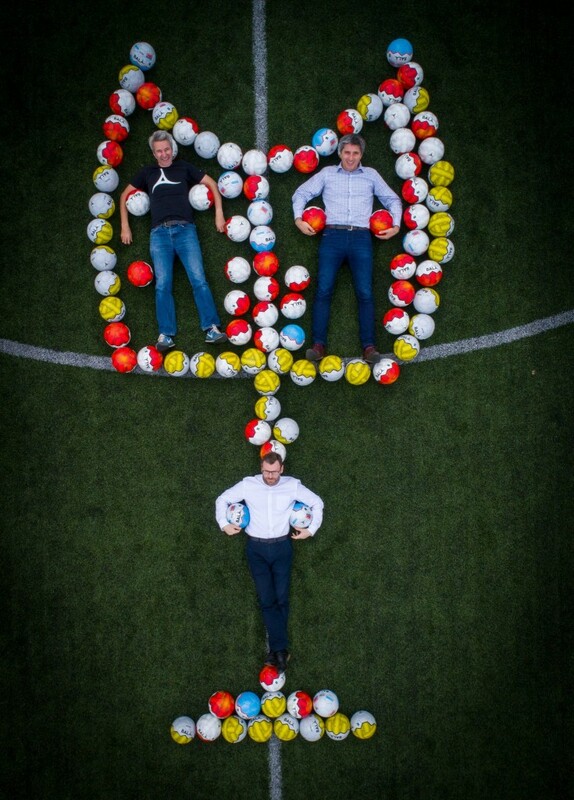 Homeless World Cup Foundation Chief Executive Ryan Mackie said: “This partnership precisely highlights our ethos, that football should not a game for the privileged few, but for all, regardless of their circumstance. The Homeless World Cup Foundation currently operates with partners in 74 countries and has helped an estimated 1,000,000 people since its inception. The Oslo 2017 Homeless World Cup will kick off on Tuesday, August 29 at 15:30 (UTC+2) with Norway v Chile, followed immediately by the match between Norway v Brazil at 15:55. The Homeless World Cup was co-founded by Mel Young and Harald Schmied, who came up with the idea following a conference about homelessness in 2001. They wanted to change the lives of homeless people all over the world, and they believed football could help them do it. The first Homeless World Cup tournament took place in Graz, Austria in 2003, and the event and network has been growing steadily ever since, occupying a pioneering role in the field of Sport and Development. The Homeless World Cup is now an annual, world-class, international football tournament organised and delivered by the Homeless World Cup Foundation. Every year, more than 50 teams of men and women who are homeless get the chance to represent their country during the week-long competition. This year’s event will be in Oslo, Norway from 29 August – 05 September. Bala Sport, a co-operative based in Glasgow, Scotland, was formed in 2014 to level the playing field between sports consumers and the makers of the balls through a fair price and fair working conditions â€“ and still offer the best quality equipment for enhanced performance. When a high quality Fairtrade certified sports ball is sold in the UK the buyer is guaranteed that the men and women who made these hand stitched products are paid a fair wage and benefit from fair working conditions. Skyscanner is a leading global travel search site used by 60 million people every month and with products are available in over 30 languages and 70 currencies. Skyscanner’s highly-rated free mobile app has been downloaded over 60 million times. Founded in 2003 and based in Edinburgh, the firm now employs over 900 staff, with offices in Barcelona, Beijing, Budapest, Glasgow, London, Miami, Shenzhen, Singapore and Sofia. Skyscanner is part of the Ctrip group.